So many capital cities are intriguing and captivating. Moscow is such a place, and can seem overwhelming but also quite appealing. Beautiful architecture that is inspiring, a culture that is deep seeded in the Russian people, sophisticated restaurants and glorious hotels all can be found in the stunning city of Moscow. Travel to the nearly new city and experience unimaginable. Famous landmarks can be found all over the world. One look at certain buildings or monuments and people immediately know where the picture was taken. This is very much the case for Moscow. St. Basil's Cathedral is so well known that most know it is located in Russia, but probably have no idea the name of the building. The gorgeous and colorful holy site is unlike anything in Russia's architectural past yet still has become an iconic landmark that is immediately recognizable. St. 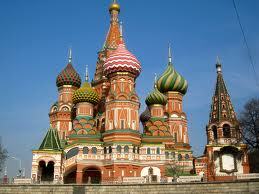 Basil's is located in Red Square, another impressive site in Moscow. Take some time to visit the Kremlin, the monument to Peter the Great and State Tretyakov Gallery, a perfect place to visit and admire some great historic Russian art. With such a tumultuous history, Moscow is overflowing with must-see sites that are truly remarkable. Dining in Moscow literally presents something for everyone. Simple dining establishments offer up value priced meals that still awaken the palate. But if you are looking for an over the top experience, Moscow will not disappoint. Some restaurants provide a themed atmosphere that can only be considers outrageous, but still create delicious and delightful meals. With the majority of the people that live in Moscow eating out on a regular basis, there is never a shortage of places to feed your hunger. Come hungry to Moscow and enjoy the experience. Extravagance is apparent in the hotels found in this striking city. You can find locations with historic addresses and beautifully inspired old world design or go modern and streamline with the sleek new hotels that are anything but cold. WhatAHotel! provides the Best Hotels in Moscow and helps you discover the unique and vibrant accommodations that are located in this urban area. 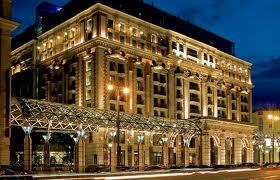 Ritz Carlton Moscow is one amazing option that provides superb service and amenities. 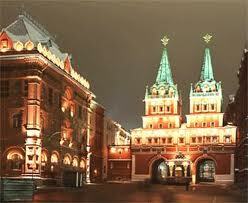 This premier hotel is near the Red Square and the Kremlin making it a great location to see the sites. Equipped with a soothing spa, ESPA, that promotes healing, well being and relaxation. The modern spa offers the latest in scientific advancements combined with a highly trained staff. Stay here and be sure to visit the wineroom for a classically inspired meal or the O2 Lounge for a chic and contemporary experience. Ritz Carlton Moscow provides the ultimate selection in food and drink. Feel regal while you stay at here and know that WhatAHotel! provides its customers with exclusive perks and benefits that other online companies can not offer. Stay at one of our Moscow hotels and realize true refinement and sophistication. Russia is the combination of tradition and culture combined with modern design and style. Moscow promotes the beauty of its past but shows off its future. Cosmopolitan meets old world in Marvelous Moscow.